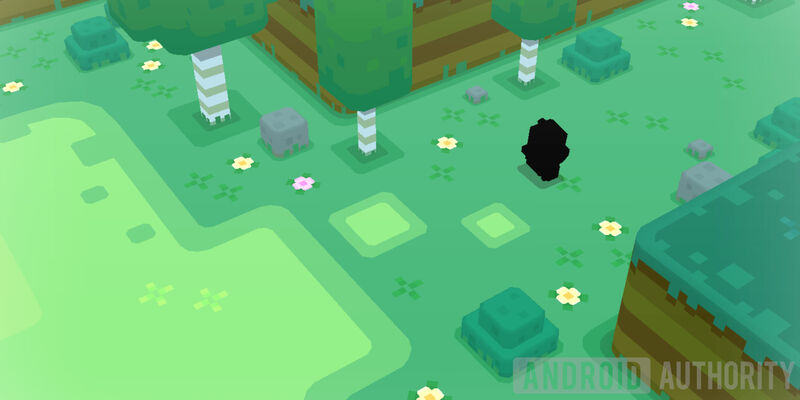 New players who are picking up the mobile version of Pokemon Quest are in luck. Since the game came out more than a month earlier on the Nintendo Switch, a whole bunch of tips and tricks for Pokemon Quest have been uncovered. There’s even more good news. We’ve collected those Pokemon Quest tips and tricks into a neat little list that will get any aspiring Pokemon masters well on their way to Happenstance Island. Without further ado, here’s the list. The most obvious tip for Pokemon Quest is to keep your cooking pots boiling constantly. Never go out on an expedition without something cooking, even if it’s just a Mulligan Stew à la Cube, the cafeteria gruel of Tumblecube Island. Even if you are just making mulligan stew, avoid using the auto-set feature. It has a tendency to use up all of your most precious ingredients (including rainbow matter) just to leave you with a big bowl of disappointment. One of the best sources for Pokemon Quest recipes will sound familiar to Pokemon fans, since it’s the go to site for all things Pokemon. Serebii breaks down each recipe by rarity and potential Pokemon attracted. It’ll still take some time to get the Pokemon you’re looking for, but after a while you’ll have your favorite recipes memorized. As for the ingredients, that takes us to our next tip. You might think that if you paid the 30 bucks for the expedition three-pack, you’d be rolling in ingredients. But the packs also unlock three additional cooking pots. In order to keep all of them going, you’ll need to boost your drops even further. The three Eevee-themed Cusheons (and the less attractively named Dodrio Tent) are a cheap way to boost your drops early. Even free-to-play players can afford the 200 PM tickets they cost in their first few days of playing. 50 percent more ingredients might not seem like much, but the sooner you get it the sooner it will start paying dividends. You’ll be kicking yourself if you wait until you start unlocking higher level cooking pots. As for the rest of your tickets, they’re best spent on battery refills. You can save up for more expensive decorations, but you’ll have more fun progressing into the game first. It might seem counter intuitive to use your highest cooking pots in Pokemon Quest, since it will quickly eat through your ingredient reserves. However, if you can afford it, you should, because it comes with all kinds of benefits. First of all, higher level pots bring in higher level Pokemon. Significantly higher, actually. So much higher that each time you unlock a new cooking pot, any of the Pokemon it brings in will be 20 or even 30 levels higher than your strongest Pokemon. Pokemon attracted by higher level cooking pots have higher base stats. They might not have better movesets, but higher levels means more unlocked power stones, which translates into real power. These new Pokemon will quickly replace your previous line up. If they’re truly just bad, higher level Pokemon also give more experience when training. On top of that, Pokemon attracted by higher level cooking pots have higher base stats. It isn’t a huge amount, just a few hundred, but it’s enough to make a difference. It’s understandable that you’d come into Pokemon Quest with the “catch ’em all” mentality, but in practice it’s much better to stick to one or two types of Pokemon. This means that you’ll end up with four, five, or more of the same Pokemon. The reason why this is good is that you can use those Pokemon to train your strongest one, or just swap them out if the new one is stronger or has a better special move. There’s no such thing as bonding with your Pokemon in Pokemon Quest, so don’t hesitate to regularly give slackers the boot. At some point there are just too many Meowths to feed at the Base Camp. Using the same type or species as training fodder greatly increases the amount of experience gained. This way you can level up your Pokemon much faster by training than by going out on expeditions. It’s certainly a change of pace for the series to cycle through Pokemon so quickly, but you have to spend precious PM Tickets to expand your Pokemon Box. At some point there are just too many Meowths to feed at the Base Camp. Pokemon come in all shapes and sizes, but in order to maximize your efficiency in Pokemon Quest, stick to one-trick ponies. When you eventually resort to using auto-mode to grind out battles, Pokemon with just one move will always use… well, that move. Even if your Pokemon starts out with the wrong move, a quick move change can set them right. Another advantage to a single move is that it unlocks more slots for move stones. These stones have huge (even game-breaking) effects. Sometimes it’s worth investing a little time and energy into a Pokemon with the right moveset. In normal Pokemon games, you can usually power through the majority of the game by front-loading all of your power into a single Pokemon. But not in Pokemon Quest. After beating the first few levels, you’ll run into a seemingly insurmountable wall of Poke-pain. The best way to overcome difficult boss fights is to use Pokemon that match that level’s bonus type. Types work differently in Pokemon Quest. Rather than relying on super effective hits, the game provides a flat bonus to strength and defense when used on the right levels. Since those stats are the main ones that matter, you may be better off with a team of three high level Pokemon of the same type for certain levels. As you approach the end of the game, however, you’ll want to put a bit more effort into selecting the right Pokemon. The last two levels have no bonus types at all, so you’ll need to be a bit more creative. As you complete expeditions, the expedition bonus bar in the top left will fill up. Once it’s full, the next level you complete will drop a rare power stone. Keep an eye on it while you’re grinding, and make sure you play the highest level available when the expedition bonus is active. More difficult levels mean stronger power stone drops, and power stones are hugely important in Pokemon Quest. If you aren’t sure you can beat the level, try anyway. You have nothing to lose. A failed expedition doesn’t deplete your expedition bonus, so it can still be picked up on the next attempt. Bingo bonuses are a slightly hidden stat that can have a huge effect on your Pokemon’s late game strength. Each Pokemon has different bonuses, even if they’re the same species. Bingo bonuses are essentially stat boosts that are unlocked by having three power charms equipped in a row. For bingo fans out there, no, horizontal lines don’t count. “Tic-tac-toe bonus” just doesn’t have the same ring to it. Be on the look out for bingo bonuses like flat attack, reduced cooldown on special moves, or increased attack on special moves. Certain resistances are can be useful on some tank Pokemon, as well. If you remember anything from this list of tips and tricks for Pokemon Quest, let it be this. Use a Pokemon with a buff, like bulk up, and equip it with as many sharing stones as you have. Sharing stones give the rest of your team 25 percent of the bonus stats that the original move gives. Bulk up gives a bonus to both attack and defense, which again, are the main stats that matter in Pokemon Quest. You might think a support-type Pokemon will make your overall damage weaker, but in fact the opposite is true. The loss of one damaging move is more than made up for by the increase in damage and health for your entire team. Using a bulk up Machamp with three sharing stones, I was able to easily clear levels with a recommended team strength more than 50 percent higher than my current strength. If you aren’t able to find a Pokemon with bulk up, any buffing moves will work. Here’s another strange quirk of Pokemon Quest: throughout most of the game, your Pokemon’s base stats don’t really matter. They do matter when you are trying to maximize everything at the end of the game, but for progression, it’s all about power stones. At every single point in the game, the vast majority of your Pokemon’s strength and defense will come from power stones. Evolutions provide a small power spike, but levels give just a few minor stat gains. They do however, unlock more slots for power stones. As you farm up more and more stones, you’ll need to expand your power stone box at least a few times. Three Pokemon with nine stones each, plus move stones, adds up to a lot of storage space. You also don’t want to be recycling old power stones after each match. Be careful which power stones you recycle, because not all of their power comes from pure numbers. The special stats the provide can be just as useful. Hit healing — similar to life steal in other games — is the most important. Hit healing is absolutely critical to surviving all of the waves leading up to the stage boss. It caps at 10 percent, but any power stone with even a small percentage should be kept for a long time. Do not recycle these unless you have better hit healing stones to replace them. That’s all for this list of Pokemon Quest tips and tricks. Do you have any more tips? Let us know in the comments! Pokémon Quest out now on Android, download it here!